Taran Alvelo was destined to play softball for the University of Washington. Growing up in a small Ohio town with her dad as her lifelong coach, softball was more than just a fun sport to play. It was a pathway to becoming the first person in her family to earn a college degree. Those dreams began when Taran was in seventh grade. 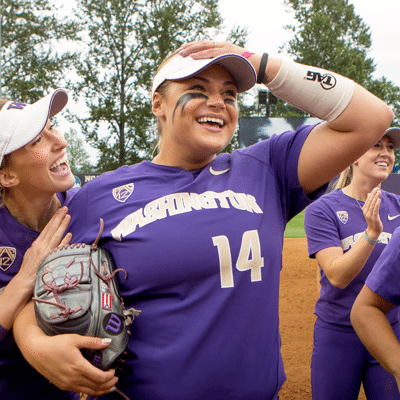 A few days after she excitedly watched on TV as UW Softball won the 2009 College World Series, she went to the stadium where celebratory confetti still littered the field. “I scooped up a handful of dirt with purple and gold confetti and I still have that to this day. From then on, I was obsessed with going to Washington,” says Taran. A few weeks later, she was warming up to pitch in national competition when a UW Softball coach happened by. “She said she heard the pop of the ball … then came back and watched my whole game. It was fate,” recalls Taran. An invitation to attend youth softball camp at the UW followed and two summers later, Taran committed to her dream school. 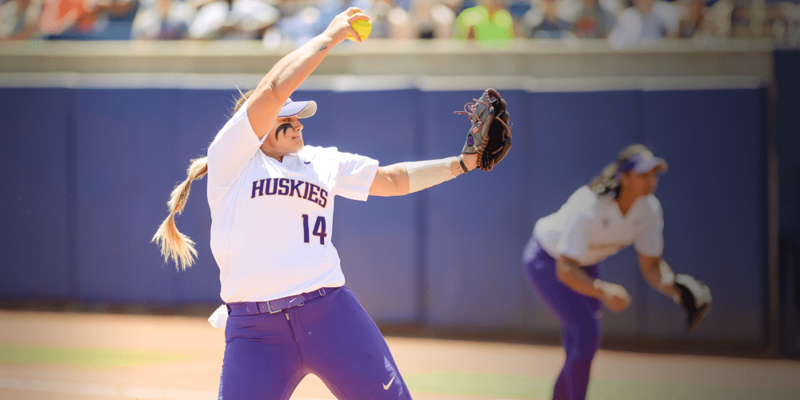 Taran pitched two shutouts to help the Huskies advance to the College World Series championship series last season, becoming one of just six Huskies ever with multiple 200-strikeout seasons. During the summer, she represented her grandfather’s home country of Puerto Rico in international play before returning to Washington for hopefully another shot at a national title.